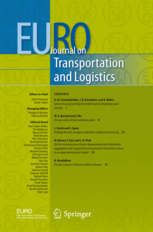 GAINESVILLE, FL: Dr. Toi Lawphongpanich, Associate Professor of Industrial and Systems Engineering, has been named a guest editor for the European Journal on Transportation and Logistics special issue entitled “Pricing in Transportation Networks.” This special issue, scheduled for publication in 2013, will focus on methods for influencing the use of transportation infrastructure and services via pricing and other market-based schemes. Lawphongpanich works heavily in the area of nonlinear optimization with applications in toll pricing to reduce congestion in transportation networks. His work has been funded by both the Department of Transportation (national and Florida) and the National Science Foundation.